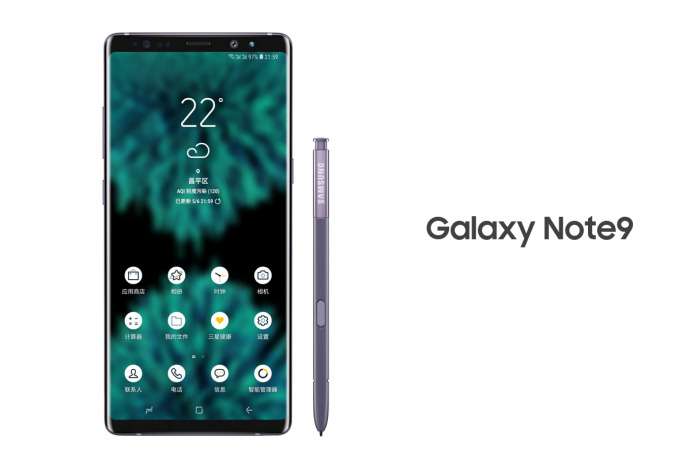 First Of Its Kind And Alleged Samsung Galaxy Note 9 Render Depicts Almost No Changes Over The Note 8; Will Samsung Take It Slow In 2018? Rumors for Samsung’s Galaxy Note 9 have taken an interesting turn this year. While the Galaxy S9 and Galaxy S9+ did not see rumors of virtual fingerprint sensing surface prior to their launch, leaks for the Galaxy Note 9 are taking a different turn. Rumors for under-the-display fingerprint sensing are common once again, with several sources claiming that the feature will make it on the Samsung Galaxy Note 9. Whether Samsung can pull it off or not is a question for another debate. Today, we’ve got a render for the device from an old source. Take a look below for more details. At the moment, the verdict is still out for virtual fingerprint sensing on the Samsung Galaxy Note 9. Personally speaking, I do not expect Samsung to equip the phablet with this feature. Why? The technology should not be ready for a smooth global rollout, as Samsung has higher standards than Chinese manufacturer Vivo. In addition, the Korean tech giant likely hasn’t forgotten its Note 7 debacle. While under-the-display fingerprint sensing is unlikely to make the Note 9 go up in flames, a poor performance from the feature will not bode well for Samsung. With that in mind, leaks for the Samsung Galaxy Note 9 have taken place since the end of 2017. They started off with leaks that claimed a new S-Pen for the device and information for its internal codename, Crown. In fact, the first reports for virtual fingerprint sensing on the Galaxy Note 9 also surfaced in November, a month known for Black Friday deals. Now, a recent leak from famous Chinese leaker Ice Universe claims that Samsung will introduce a new color option, a 3850mAh battery, virtual fingerprint sensing and four additional features with the Galaxy Note 9. 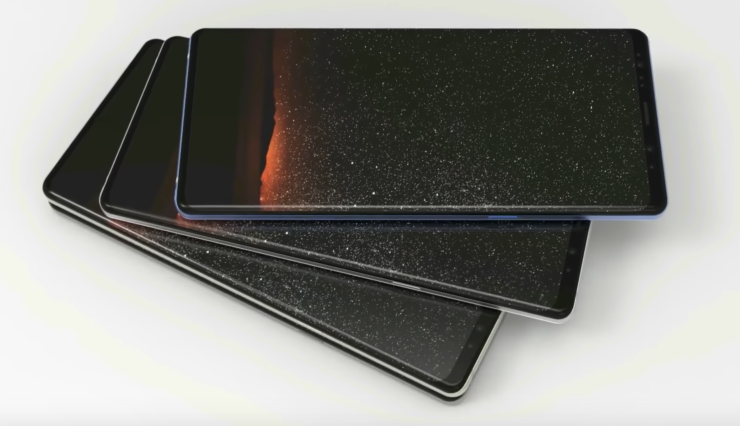 Following up with his earlier leak, Ice Universe is back today with the first render of Samsung’s Galaxy Note 9. In stark contrast to his earlier leak, today, Ice Universe claims that Samsung will make little changes on the Galaxy Note 9 over its predecessor. This is a strange bit of news since he highlighted a lot of features in his last leak. However, common sense dictates that Samsung will mostly follow with the upgrades it introduced on the Galaxy S9/S9+ and refine the Note 9’s form a little. In fact, the render above resembles those for the Galaxy Note 8 so much that we’re suspicious about it being photoshopped. However, comparing against Note 8’s renders reveals that this image shows a slightly thinner bottom bezel and a wider device. Nevertheless, these aren’t sufficient to advocate no salt for this leak. Ice Universe does have a good track record though, so maybe he’s on the track. However, this still doesn’t explain why the source has changed direction by a complete 180 degree in such a short time period. At this point, your guess is as good as ours. Thoughts? Let us know what you think in the comments section below and stay tuned. We’ll keep you updated on the latest.